Superabrasives, such as micronized diamonds and cubic boron nitride (CBN), are used extensively in applications for cutting, grinding and drilling of hard materials. Tools are coated with superabrasives so they can go through materials that standard tools cannot. The effectiveness of a particular superabrasive material in a given application is determined by the particle size but, more importantly, the particle shape. 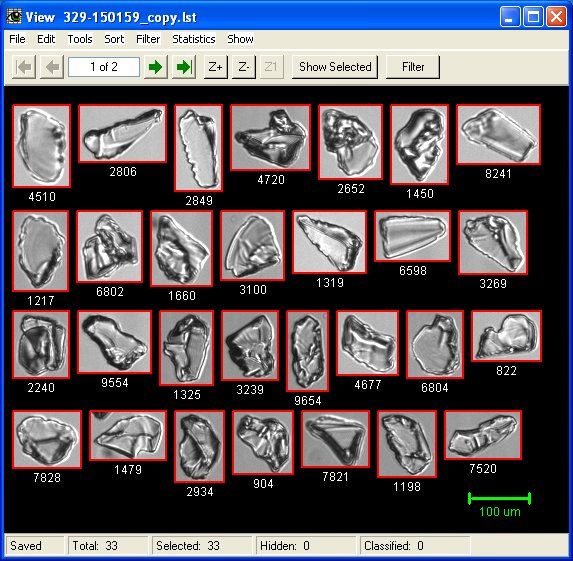 While common particle analysis techniques such as sieving, Coulter Counters, and laser scatter instruments can provide particle size distribution, they cannot provide any shape information. In the past, manual microscopy was used to take a closer look at particle shape. However, microscopy is extremely time consuming, and does not allow for inspection of statistically significant amounts of sample. FlowCAM® is ideally suited for the characterization of superabrasive materials because it can quickly determine particle shape and particle size. Items made of plastic have become pervasive in our day-to-day existence. While we are all very familiar with the final products, much of the raw material used to manufacture plastics is actually delivered to the manufacturer as a powder, which is then melted to be formed using a mold. Manufacturers of raw plastic powders can supply particles which are very broad in range when it comes to manufacturing characteristics such as density, melt flow, rigidity, impact resistance, and colors. The size and shape of these powder particles greatly influences its manufacturing properties, making it an ideal subject for FlowCAM® analysis.